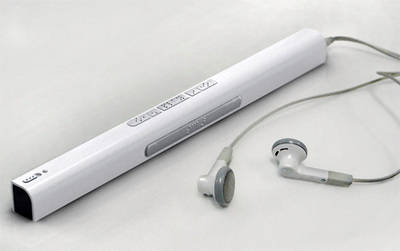 to read only to have it read aloud to you by the kindly Voice Stick. It’s a concept device, but the concept seems pretty sound, utilising scanning technology and text-to-voice engines to get the gadget reading. However, since the great Hear Wear hearing aid concepts and the Braille Book sadly still haven’t appeared, I’d be surprised if this makes it to market. if the voice stick is really in market , where to bye it & what would b its price ???? PLEASE CAN SOMEONE TELL ME WHERE TO GET/BUY THIS VOICE STICK????? They actually did think of this sooner, except it’s in the form of a cell phone. Granted, the whole “voice stick” concept is pretty rad, but the cell phone’s more practical, I think. Brillent idea!!! It would easy the life of many people!!! Can’t wait to see how this changes peoples lives!